Technology has been the major driver of change throughout history. From building the first jet engine or computer to the latest modern trains, it has allowed us to live longer, better and much more efficient lives. No part of society has been untouched by technology, and that is true for traders on the financial markets. The way trading is conducted these days and the more open nature of the industry is a far cry from how it used to operate. While there is still some of the traditional style trading taking place on the physical floors of exchanges, technology has, to a large extent, taken over. Of course, if you are an FX trader yourself then you will have seen first-hand what fabulous changes technology has brought to the table. To talk about technology impacting trading and not to mention the internet would be ridiculous. It is the biggest change and innovation that FX trading has ever seen. Although there were some very primitive electronic trading platforms in the 1980’s, it was the invention of the internet that really made a huge impact on trading as we now know it. The way the internet connected the world meant that forex trading also became something that was no longer limited by where you lived, or was off-limits if you were not an investment banker. What changes has technology brought to 21st Century trading? As noted above, it is mainly the internet that we have to thank for the evolution of FX trading to become what it is today. But in what specific ways did this and related tech open up trading to all? Made trading more accessible – before technology changed trading, to play the financial markets meant that you had to do it as a professional. The problem with that was that it excluded many people who maybe wanted to do it for fun or as a side-line to their proper job. The internet opened up trading to all by allowing online brokers to be made available to would-be traders around the world. Greater access to news – one major way that tech changed trading was the instant access it gave to the latest financial news. Traders can now see current press releases and can monitor market movements – something that was not possible before. That makes coming up with the best trading decisions easier and makes it simpler to more accurately react to what is going on. Mobile trading – along with the internet itself, mobile technology has really changed the way modern traders operate. Gone are the days of having to be actually at your desk and next to a PC to make trades or close orders. The latest mobile technology means you can do all that on the move, wherever you may be. It’s more fun! If you traded in the days before the internet, then the platforms you had to use were either very complicated, only open to business use, or just dull. That made them off-limits for the public. With the rise of technology within FX trading, suddenly that was no longer the case. Modern FX broker platforms look great, are easy to use and are actually enjoyable to spend time on. Social trading – one of the very latest changes that technology has brought to trading is social trading. That means you are no longer isolated, trying to work out what is happening with no-one to ask for advice. Social trading allows you to interact online with other traders on your broker’s platform and even to copy their trades if you like. As well as the brokers available to choose from being better to use, the internet has meant there is a greater choice. Technology has allowed new brokers to set-up online to provide access to trading for you, wherever you are in the world. Of course, it is still essential to research the broker you will use to ensure it is reputable and efficient. A great guide for this is Best Forex Brokers by Forextraders.com that tells you all you will need to know. One thing that seems certain is that the evolution of trading will continue into the future. 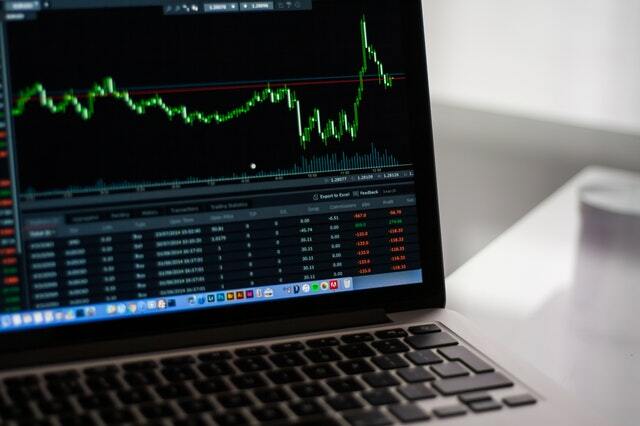 As trading on the FX market is now so intertwined with technology, from online broker’s to the latest online news, it is certain that new technology will lead the way in its future progress. Great post. I completely agree with you on this. Modern trading is so much easier as compared to before. Now we can sit at the comfort of our living room and buy or sell any thing we want at the click of a button. It gives us complete analysis with current trends as well as future projections. Good to be trading now.